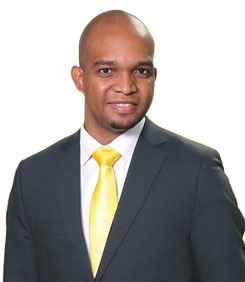 Damion Hylton was appointed Managing Director of JN Cayman, formerly the National Building Society of Cayman (NBSC) in April 2016. With more than 13 years experience working in the financial sector, he is an experienced change manager, with the proven ability to improve operations, achieve strategic goals, increase deposit and loans growth and generate sustained profits. He has previously worked with the JMMB Merchant Bank and the National Commercial Bank. Damion Hylton received the Masters in Business Administration (Distinction), Banking & Finance, from the Mona School of Business, The University of the West Indies (UWI) and has a first degree in Management Studies (First Class Hons), with a minor in Economics from UWI.